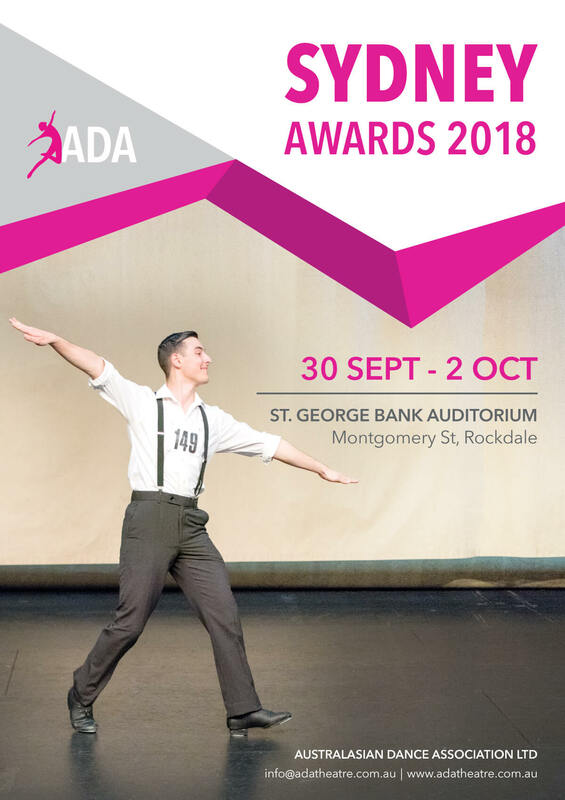 The Federal Association of Teachers of Dancing was established in 1931, making it the longest established dance organisation in the southern hemisphere. Catering for all styles of dancing, FATD enjoyed extensive growth in a short space of time to the point where in the early 1940s it necessitated the dividing of the ballroom and theatrical styles into separate branches so as to enable them to operate more efficiently. 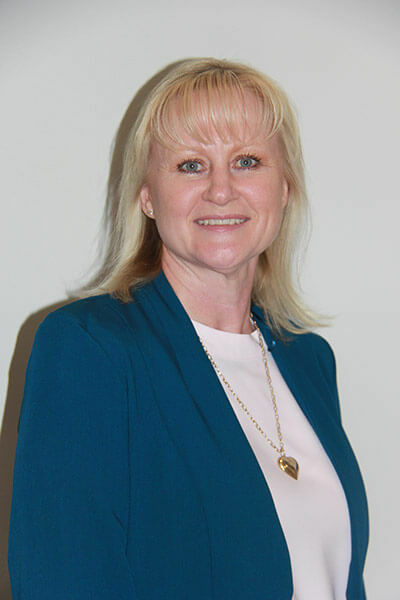 Joyce Love was elected as the first vice president of the theatrical branch. Though it grew out of the enormous popularity of ballroom dancing, a large percentage of the original 25 teachers at the first meeting were theatrical dance teachers, and theatrical and ballroom dancing have retained equal parts in FATD’s operations, with each enjoying separate faculties. The original syllabus of the theatrical branch (now known as the theatre dance faculty) covering tap and musical comedy (later styled “modern dance”, and now currently “jazz”) was based on the work and teaching of the internationally noted english dancer Zelia Raye and was formulated by a committee which included Joyce Love, Hope Ryrie, Ann McDonald and Edna Storey. The first syllabi in tap and musical comedy were established in the 1940s. The theatrical syllabus soon spread Australia wide, with examinations being conducted here as well as in Asia and New Guinea. Joyce Love was appointed examinations organiser followed in 1961 by Rosemary Newton who retired from that position in 1987. In the early 1970s the grade syllabus was extended with the introduction of practical tests in the form of the gold star syllabus for tap (by the late Edna Storey) and modern dance (by the late Helen De Paul, who was later awarded the OAM for services to dance). Later came a bronze and silver star syllabus in the same styles. All syllabi have undergone continual upgrades. “the association was incorporated in 1981, and has a current membership in excess of 600. ” 1947 also saw the appointment of Eileen Kane as full time organising secretary of the federal. After a staggering 37 years of exceptional service, Eileen retired in 1984 and was succeeded by Robert (Bob) Steele. Although from a ballroom background Bob took a great interest in the activities of the theatrical branch (later at his instigation) to be renamed the theatre dance faculty and in 1986 as a result of his active encouragement and support the faculty examining board agreed to the establishment of the FATD classical ballet syllabus. In his role as CEO of FATD, he was responsible for the reorganisation of the administrative procedures within the faculty and from 1987 until retirement in 2007, Bob handled all organisational matters concerning examination activities. In 2008 Craig Wilson became the CEO of FATD and Organising Secretary for the Ballroom Faculty and Kim Griffin became the Organising Secretary of the Theatre Dance Faculty. Attention to detail and the regular updating of syllabus requirements since those early days have allowed the FATD a long history of recognised high standards in syllabus technical work and quality rated qualifications of which so many are justifiably proud. Recognising the need for teachers to be more widely trained in areas peripheral to actual dance technique, the syllabus requirements for teaching qualification examinations was expanded as from January 1, 2000 to include the demonstration of actual teaching ability, a knowledge of music in relation to dance, the study of anatomy, physiology and psychology, first aid and safe dance practices. Hip hop and street tap became part of the syllabus in 2006 with combinations in every grade. In 2009, the first examination session was held in Malaysia (Jahor Bahru and Penang), as well a several new teachers commencing the syllabus in Thailand (Bangkok) – first examination session 2010. Queensland students in years 10 – 12 were granted recognition of their FATD exams for their final year 12 exams. 2010 saw the introduction of dance assessment awards in tap and jazz. Tasmanian students in years 10 – 12 were granted recognition of their FATD exams for their final year 12 exams. Throughout 2012 & 2013 it became necessary for the theatre dance faculty to start to separate from FATD. As of 1st January 2014 Australasian Dance Association Ltd became our new company name. Our federal history is very dear to our hearts & will always remain a part of each & everyone that has been associated with the society. 2014 also saw the new and amazing revised Syllabus and music for Pre-primary to Grade Five Tap & Jazz. Bronze Star and Silver Star Tap & Jazz then followed in 2015. 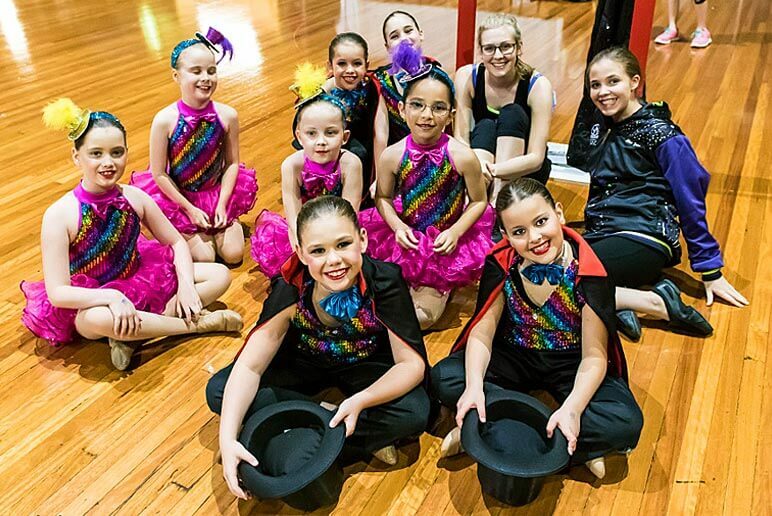 ADA welcomed Elspeth Dunne and Clutha Dance in Balclutha NZ in 2015. Elspeth is originally from QLD and now working in Balclutha. Miss Mandy Noble had the pleasure of their first exams and a huge congratulations to all involved. 2016 saw the completion of the revision with the presentation of the fantastic Gold Star and Bar to Gold Star Tap & Jazz. A mammoth undertaking by the Board of Examiners. During 2017 there was no rest for the Board of Examiners as they recreated the Classical Ballet syllabus led by Lesley Scott, Mandy Noble and Kim Griffin. 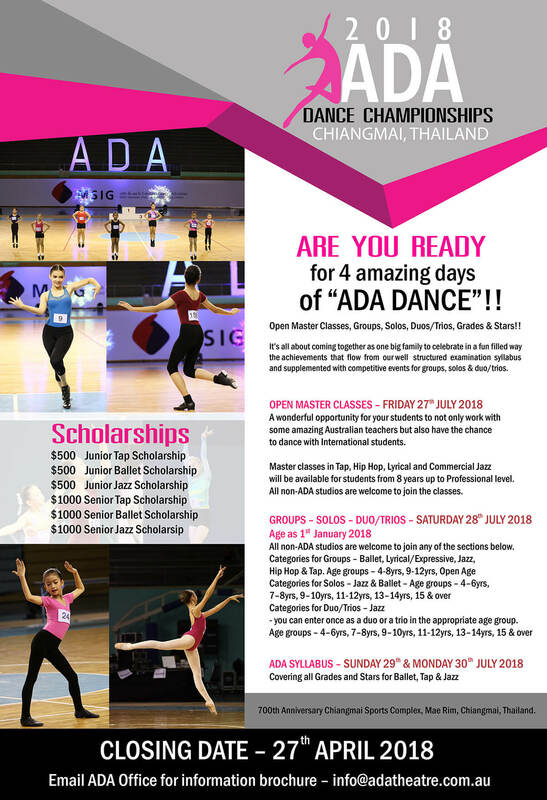 This was presented in 2018 with great delight to all ADA members in Australia and Thailand. The response from teachers and students is very positive, especially looking into the future of ADA Classical Ballet. The syllabus for Major Assessments Program (MAP) was created in 2018. It is structured in four levels with the entire program being applicable to each discipline separately. MAP is an alternative for anyone not desirous of the Examination process and also allows everyone to finish their ADA Teaching qualifications. The 4 levels are Pre-Elementary, Elementary, Intermediate and Advanced in all 3 genres – Classical Ballet, Tap and Jazz dance. 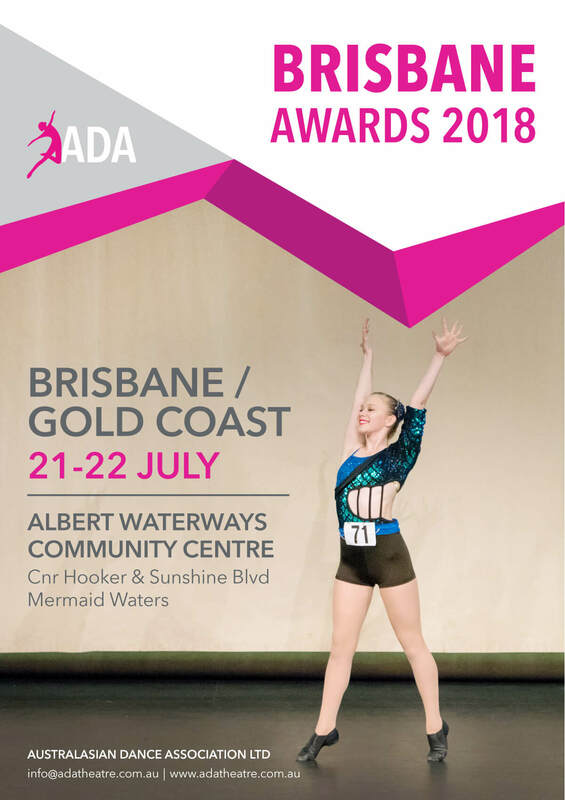 Class Performance Awards – ADA wants to encourage all students to keep working to reach the highest standard possible for their ability. All studios have some students that teachers feel are not ready, or have not reached the required standard to partake the Examination process for a particular Grade or Stars exam. 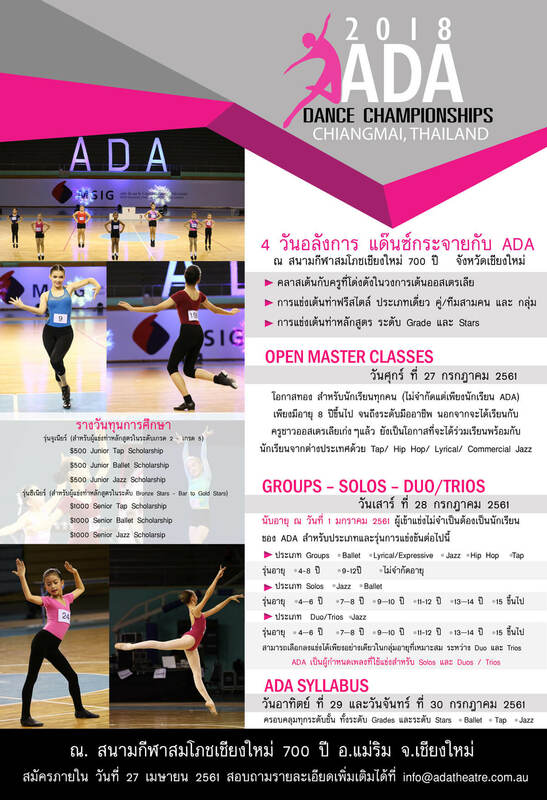 Here is a chance for all your students to be a part of your ADA session. Teachers will be able to tailor each groups performance to showcase their abilities and potential. 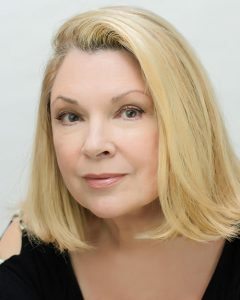 Trisha Noble’s father was the much loved comedian and recording artist buster noble, her mother Helen De Paul OAM was a senior examiner of the federal association of teachers of dance (FATD) and a member of the Cecchetti classical ballet society for 50 years. 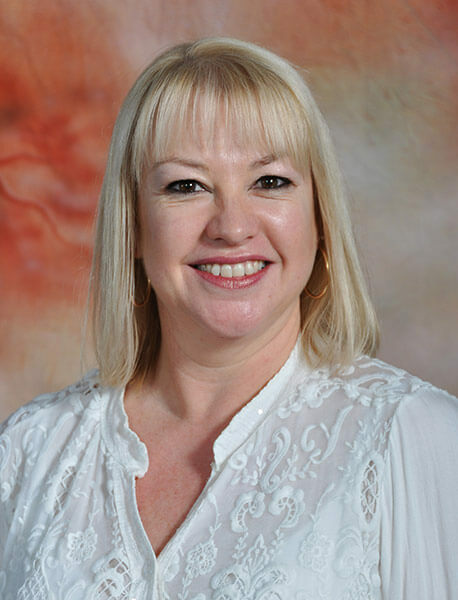 Her sister Mandy Noble is a teacher and also major examiner with the FATD. 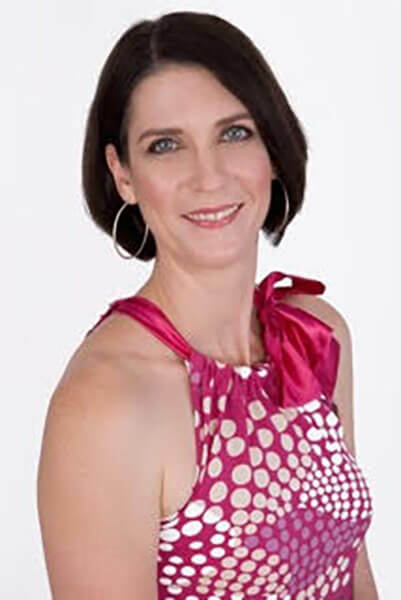 Trisha enjoyed a highly successful show business career spanning two decades in the UK and USA and since returning home to Australia has continued to show her versatility in a diverse range of roles on stage and in television and film. These include guest roles in the tv mini-series ‘Blonde’, ‘All Saints’ & ‘Water Rats’: and starring roles in musicals including ‘Dusty’ (national tour: Dusty promotions), ‘Leader of the pack’ (leader entertainment pty ltd), ‘Footloose’ (sel & gfo) and the dramatic play ‘Three winters green’. She created the role of Thelma O’Keefe in the musical ‘Shout’ (national tour: jacobsen entertainment) for which she received a green room award nomination for best female artist in a featured role and two consecutive mo award nominations for female musical performer of the year. As a tribute, an extended episode of ‘This is your life’ recognised her outstanding career. On film, Trisha joined the star wars movie family as Jobal Naberrie in Star Wars: Episode II – Attack of the Clones and Star Wars: Episode III – Revenge of the Sith. In 2007 Trisha performed in the inaugural Kookaburra production of the musical ‘Pippin’ for which she received a Helpmann award nomination for best female actor in a supporting role in a musical. Subsequently Trisha performed her favourite role to date; the part of Marmee in the Kookaburra production of the broadway musical ‘Little women’. Most recently she appeared with Anthony Warlow in the highly successful stage production of the musical ‘Dr Zhivago’ which played in Sydney, Melbourne and Brisbane. 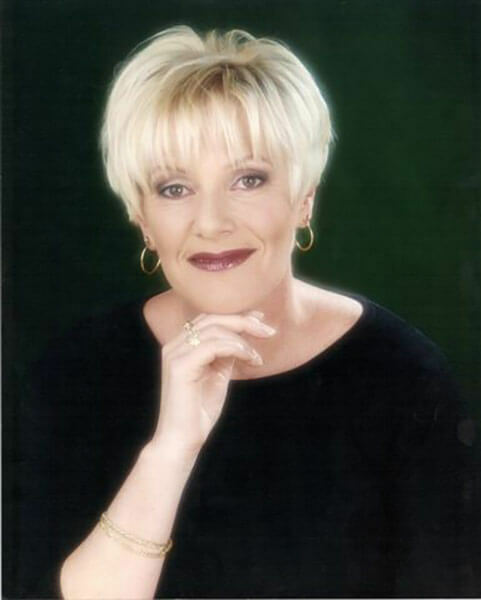 Trisha is a Logie award winner and also a qualified teacher of speech and drama. She holds a diploma in theatre performance from the IMEB and a CVCA (high dist.) from the AMEB. Miss Newton has had a lifetime affiliation with the Federal Association of Teachers of dance as a well-loved teacher and a senior examiner. Miss Newton began her dance career as a 5 year old student with Thelma Harris and then studied with Vera Le Vere. Miss Newton’s connection with the very foundation of FATD began in 1939 when she undertook examinations with miss Celia Ray. At that time, miss Ray was an integral member and examiner with the ISTD in England and is credited with being very influential with the origins of the FATD syllabus. Miss Newton was also involved in the early history of the national examination scheme when she sat for examinations with miss Dorothy Gladstone. When she was only 15 years of age, miss Newton started teaching at home in Campsie. It was 1944, and a career spanning many decades of teaching and examining had begun. In 1945, her sister and aunty presented her with the wonderful gift of her own school. This enabled miss Newton to begin sending students for FATD examinations in 1949. In 1950, miss Newton became a member of FATD and it wasn’t long after, in 1953, that her dedication and talent was recognised and she was appointed as an examiner. Miss Newton held the position of examinations organiser for the Federal Association of Teachers of dance (theatrical branch) from 1965 to 1991. This was a position that encompassed many hours of work and responsibility, and all agreed she did an excellent job! Miss Newton’s own daughters have been very involved in the FATD as teachers and miss Newton’s daughter Keri Helback is also an examiner. Many of miss Newton’s students have become teachers and professional dancers. Another of the FATD’s examiners, miss Frances Fontana, was also trained by miss Newton. Miss Newton only retired from teaching in 2011 and was considered a “living national treasure” of the FATD. She passed away in August 2014. Miss Helen De Paul (widow of the well known and loved Australian comedian Buster Noble) had a long and extremely distinguished career in the Australian entertainment industry. Miss De Paul performed as a child in many seasons of pantomime as a singer/dancer/actress. As a young teenager miss De Paul travelled with well-known theatre productions of the day throughout Australia. She worked in the american army special forces as a singer and dancer during and after world war II, and also for the commonwealth forces in Korea. Miss De Paul joined the famous Tivoli theatre circuit in the late 1940s to tour extensively throughout Australia and New Zealand. In the 1950s miss De Paul produced the famous Anthony Hordern’s Saturday morning children’s radio show for the Macquarie network (2gb) and in the early 1960’s, she directed and choreographed the international follies theatrical revue, which toured all of Australia. Miss De Paul was also well known for choreographing routines for the original Australian television show “Bandstand”. Most notably, those featuring her eldest daughter, Patsy Ann Noble, (now known as Trisha Noble) and the Allan brothers (of which one half was the world renowned performer Peter Allan). She was also the choreographer and teacher of the original ‘Happy little vegemites’. 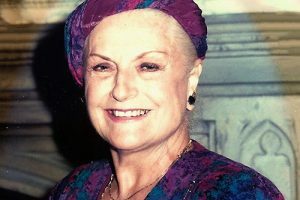 In the 1960s, Miss De Paul spent a number of years in England managing the very successful career of her daughter Trisha (Patsy Ann) Noble and undertook many entrepreneurial ventures. From her early twenties, Miss De Paul was extremely active as a classical ballet, modern and tap dance teacher in her own very successful dance centres. All of her studios have produced professional dancers, teachers and choreographers who have made their mark here in Australia and overseas. Her dancers have performed throughout Australia, Asia and as far afield as the Moulin Rouge in Paris. One of her more famous ex students was the world renowned choreographer, Ross Coleman. In the 1970s miss De Paul was a very active participant in the revival of the well-loved medium of the christmas pantomime. She produced many of these wonderful shows, allowing her students to gain invaluable experience in stage performance alongside highly professional entertainers. Miss De Paul was a senior examiner of the Federal Association of Teachers of dance (FATD) and was a member of the Cecchetti classical ballet society for 50 years. She was president of the theatrical branch of FATD for many years. After many years of managing her own dance centres, she became the senior teacher at her daughter Mandy Noble’s dance centre. 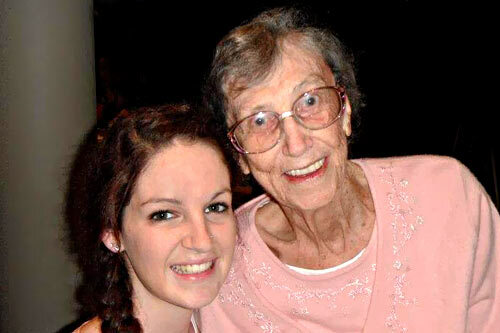 Miss De Paul was well loved and respected by all of her students past and present. She passed away on April 15, 2007. For a summary of previous years.